These powerful vapor torch kits are perfect for farm & ranch, construction, grounds maintenance, road crews, industry and more! 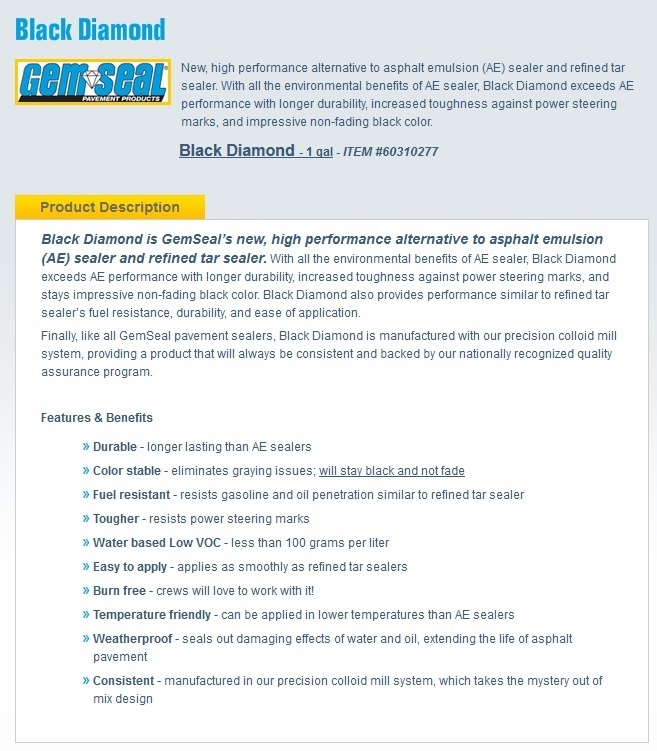 GemSeal Tack Coat asphaltic emulsion serves as at ack coat for better coating adhesion on asphalt pavement surfaces. Used as a bonding agent between new and old bituminous asphalt. 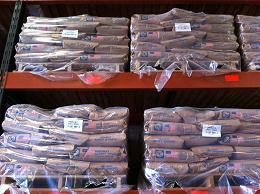 Boost Pro sealer additive increases viscosity in refined tar sealers for better sand loading. 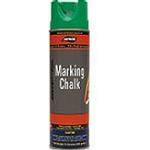 It also provides better adhesion while reducing power-steering marks and scuffing. 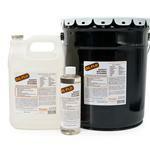 Oil-Flo is a specialized product for removing organic stains such as asphalt, tar, coal, grease and oil. Oil-Flo is biodegradable, water soluble and contains no harmful ingredients or chlorinated fluorocarbons. Oil-Flo bonds to the petrochemical, whatever it may be, and then bonds to the oxygen molecules present in water. This two-step process allows a final rinse with plain water that leaves no residue behind. Neutral pH means Oil-Flo won’t harm the surface, only dissolve the stain. Oil-Flo is our most aggressive cleaner. Use Oil-Flo for cleaning equipment, vehicles, applicators, tools, floors, machines, clothing, glass, steel, concrete, aluminum, and much more. Oil-Flo is ideal for cleanup of problems caused by overspray, tracking, spills, line breaks, and any time you have a stain and you want it removed quickly and safely. Available in 1 gal. Unlike concrete or plastic, which necessitate frequent replacements, recycled rubber car stops are safer and more durable. 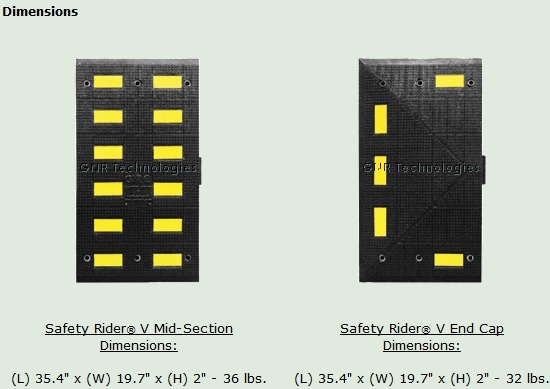 In-molded highway reflective tape (available in yellow or white) ensures visibility and pedestrian safety. The GNR Park-It® parking curb is constructed of 100% recycled rubber. The Park It® comes with pre-molded holes and can be shipped with anchoring spikes or lag bolts for installation. They are lightweight (34 lbs. 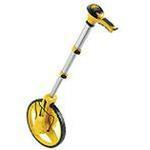 for a 6' car stop) and flexible; conforming to the contour of uneven road surfaces. Park-It® car stops are available in 22", 3', 4', and 6' lengths and are covered by a 3 year warranty; 1 year on the tape (under normal use). 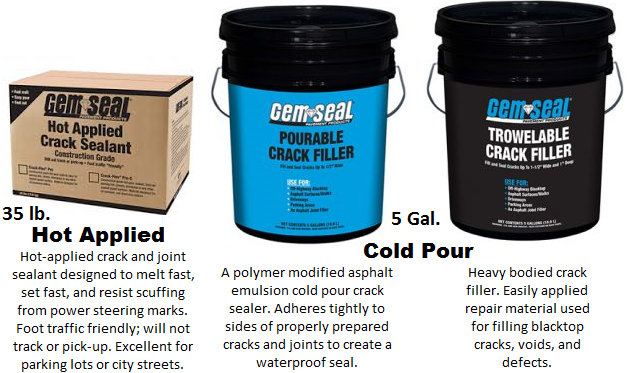 Tired of spreading sand onto crack filler by hand? Stop wasting sand, stop worrying about your bottom line, stop hurting your back – this product lets you do the job without the pain, worry, and frustrating! The sand spreader is hand held by design for easy use and ultimate mobility. The SandLiner’s upright operating position is less stressful to your lower back and shoulders than conventional sanding methods. Weighing only 22lbs fully loaded. Dimensions: 28” tall x 9” wide x 9” deep. Capacity: up to 16lbs of sand. 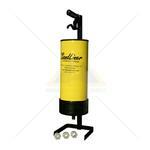 We also a carry a GLASS BEAD DISPENSER! It’s more efficient than the over hand spreading or other shaker type application of reflective beads for traffic paint. 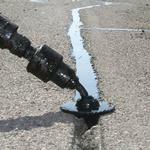 Lite-Weight Tool Asphalt Levelutes eliminates waves. ridges and rock pockets; leaving any surface free of hollows, humps, miniature "swimming pools," and other marks of unevenness. One man can easily fine rake, smooth and level more than 100 TONS of asphalt in one day with a Levelute weighing 5 pounds, Its feather lightness minimizes labor fatigue. 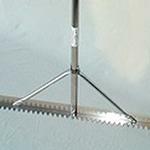 Compared to a standard asphalt rake, the LEVELUTE IS THREE TIMES WIDER. . REACHES TWICE AS FAR. . FINISHES DOUBLE THE AREA. .IN HALF THE TIME. Stronger: The clamp design avoids drilling a hole in the tool's handle, eliminating a weak spot at the area of the handle where you need the most strength. Flexible: When torqued to its limit, brackets will slide slightly, avoiding breakage. Tough: Unique clamp design, combined with ultra-strong brackets, make for one tough tool. Built For Use: Magnesium handles won't turn your hands black, like the aluminum handles of competitors. 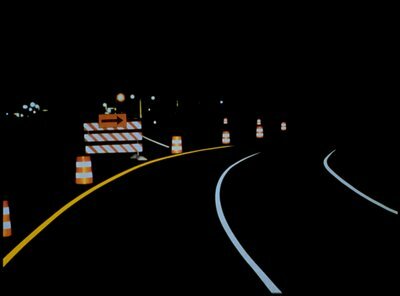 Reflective Removable Tapes can help improve work zone safety by marking temporary work zone lanes with removable, highly reflective, all-weather pavement markings. 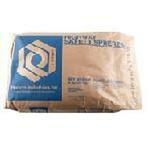 Durable, superior adhesion & comformability, fast & easy to apply & remove, and elimates grinding. 4"x150', 4"x360', 4"x500' per roll. 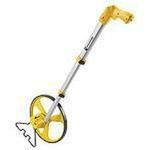 PA35 - 36" long, hand-held, rolling inverted, spray as you walk paint applicator. Solvent-based striping paint adheres to a variety of surfaces, including asphalt and concrete. Applications: parking lots, warehouse aisles, school yards, tennis courts, and factory safety aisles. 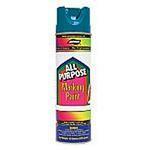 A 100% latex acrylic waterborne traffic paint designed for newly seal-coated surfaces, new asphalt, and re-stripping. Fast Dry waterborne traffic paint is a user friendly, high solids, traffic marking formulated specifically for use in both airless and conventional air-atomized striping equipment. Fast Dry offers all of the benefits of a water reducible paint, and quickly dries to a no track condition in 30 minutes or less making it an ideal striping product for roadways and airfields. 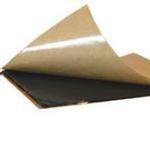 Fast Dry provides excellent retroreflectivity when matched with the proper bead gradation and adhesion coating. 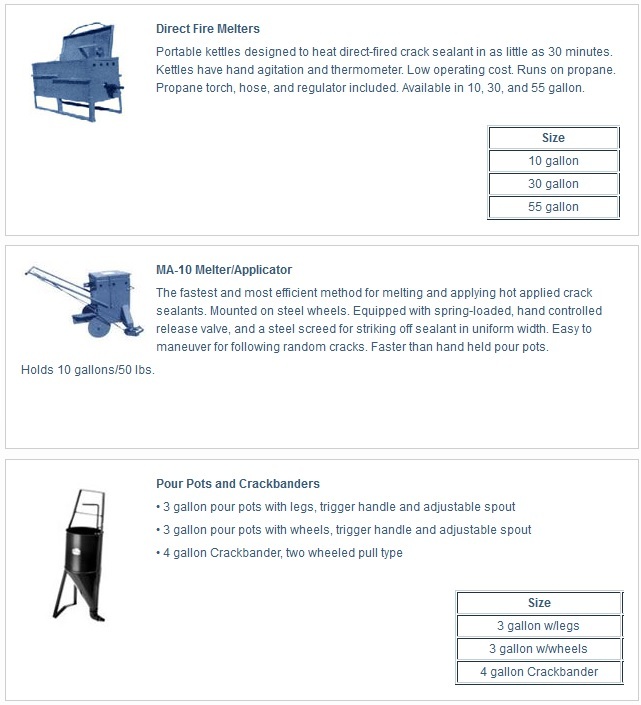 Fast Dry can be ordered to meet all state specifications as well as federal specification TT-P-1952E type I &II. PreMark® Lines, Legends and Arrows are supplied at 125-mil thickness to ensure their desired service life and cost effectiveness. 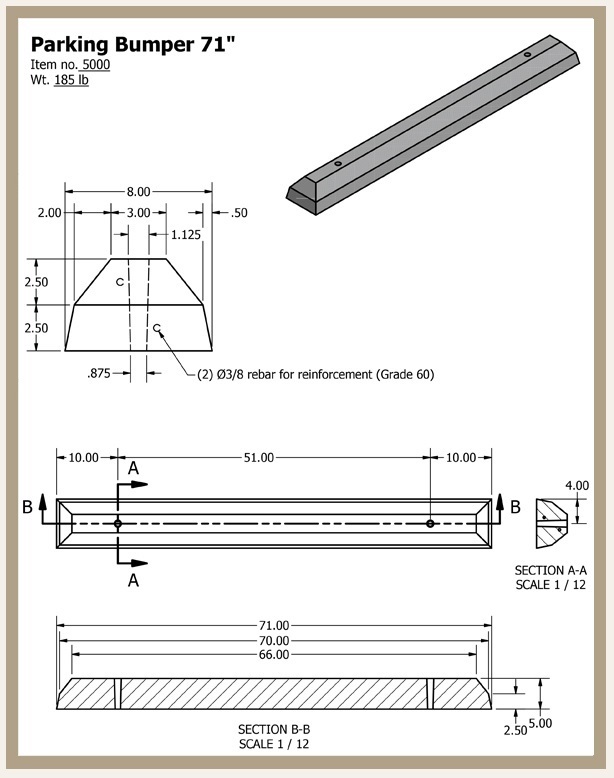 PreMark® linear material is sold in flat packs of 3 ft. lengths and widths from 4 inches up to 24 inches. PreMark® Arrows and Word Legends are available in the FHWA Standard sizes as shown in the Manual on Uniform Traffic Control Devices (MUTCD) as well as custom designs. 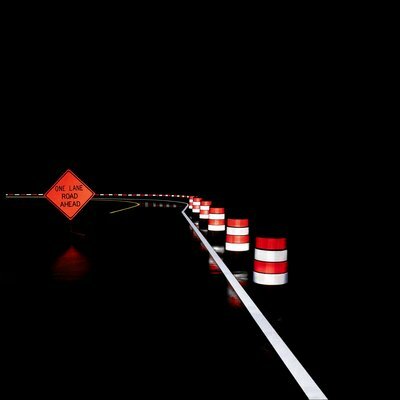 Reflectorized pavement markings make a significant contribution to highway safety, especially in conditions of poor visibility at night. Applying Potters' Highway Safety Marking Spheres is one of the most cost-effective ways to increase highway safety in these conditions. Potters’ Standard Highway Safety Marking Spheres meet or exceed every adopted highway safety marking sphere standard in effect today (AASHTO M247). They are consistent in quality and composition and exhibit excellent durability. Standard Highway Safety Marking Spheres can be applied as drop-on spheres in all commercial applications—waterborne paint, epoxy, polyester, thermoplastic, MMA, polyurethane, polyurea and VOC-compliant paints. Eagle galvanized type-I safety cans meet OSHA and NFPA Code 30 requirements and are UL and ULC listed and FM approved for safe handling and storage of gasoline and other flammable liquids. 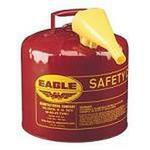 Eagle cans feature environmentally friendly Lead Free Technology, constructed of 24-gauge hot dipped galvanized steel. Sizes include 5 Gallon and 2.5 Gallon Cans. Available in Blue for the storage of Kerosine, Yellow for the storage of Diesel & Green for the storage of Combustible liquids, such as oils. Lightweight materials and an aluminum spoked wheel make the RT312 the perfect choice for landscaping, home remodeling, general construction, law enforcement, road construction, and real estate appraisals. 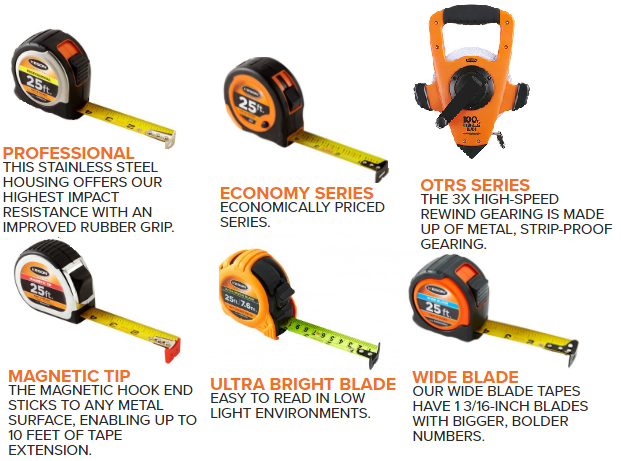 The RT312 gives accurate measurements on pavement, dirt and rough surfaces. 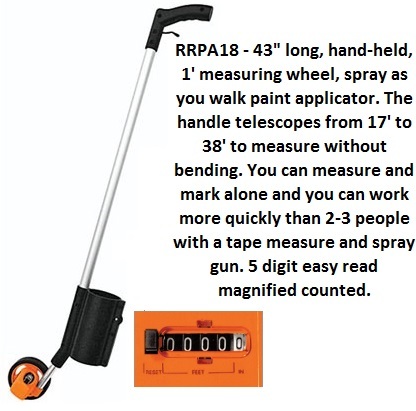 Lightweight materials and a digital readout make the RT412D the perfect choice for perfect choice for long distance interior measuring, and exterior measuring: landscaping, home remodeling, general construction, law enforcement, road construction, and real estate appraisals. The RT412D gives accurate measurements with digital display. 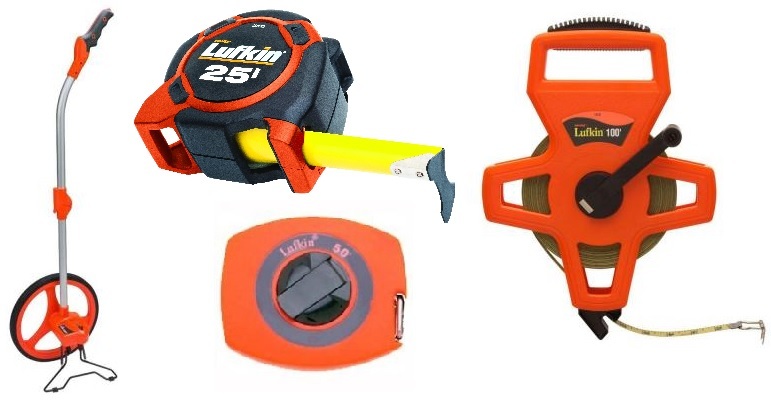 Easy to handle PVC flagging tape. Standard colors are 2-mil thick, fluorescent colors are 4-mil thick. 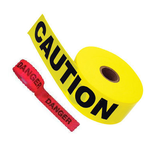 High strength, high-visibility barricade tape is manufactuered with a superior quality and opaque poly-material. It is scratch-proof and weather resistant. Message - color band and black ink imprint are encapsulated in the tape. Ink does not extend to edges, giving maximum bond between plies. 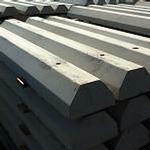 Aluminum Core – a solid detectable core makes it the choice for location nonmetallic lines. Durable – constructed with prime resin, it’s durable. Tolerates -94F to 200F temperature range. Endorsed – Meets OSHA regulation 1926-956 (C) (I) covering location of underground utility lines. Feel safer when kids play outside with this friendly safety sign is in the yard. In a neon color with reflectors and a warning flag, this visual signal alerts nearby drivers to slow down and use caution while driving through your neighborhood. Whether at home, camping, or near playgrounds – set up this kid alert safety sign to remind drivers to use extra caution in the area. Made in the USA. Butyl adhesives offer quick and reliable adhesion for temporary installation of traffic control products. 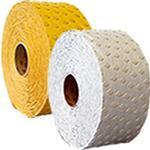 Available in 8” x 8” pads and 45” x 4” rolls. 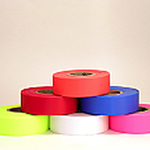 Suitable for bonding many of our delineation and marking products. The standard color is black, but gray is available by special order.